FK Lowry Piling have successfully delivered an energy sector scheme at Twin Rivers near Goole for I&H Brown. The proposed Twin Rivers Wind Farm, which contains 14 wind turbines on a 630-acre site at Pasture Farm, will make a significant contribution to the regions energy needs as well as opening up public access to the countryside. As part of the plan, the Group intends to open up footpaths on its land, creating a public access network which will connect local villages, the wind farm and local conservation areas, enhancing the areas appeal to tourists and local residents. 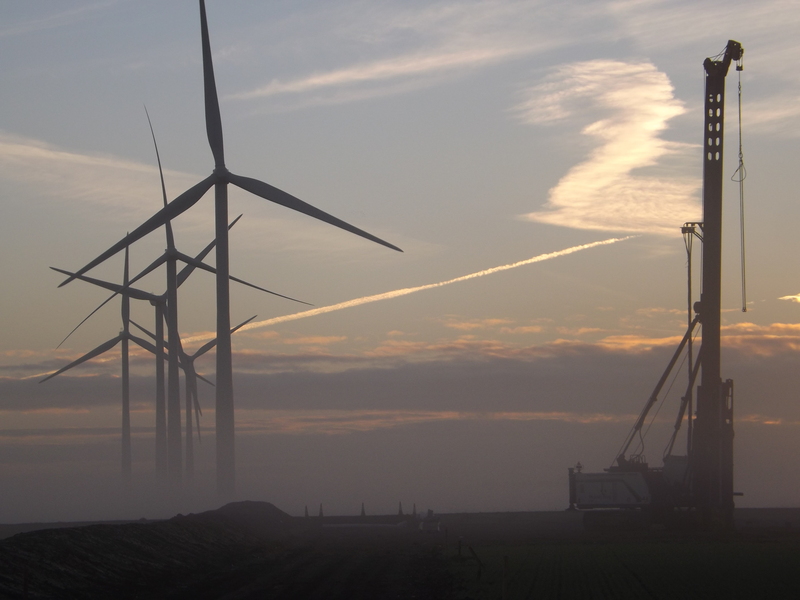 The Wind Farm will also provide support for local environmental, educational and community projects. The scheme will generate enough electricity to meet the power needs of around 17,000 homes throughout its 25-year life, offsetting the release of over a million tons of carbon dioxide into the atmosphere. 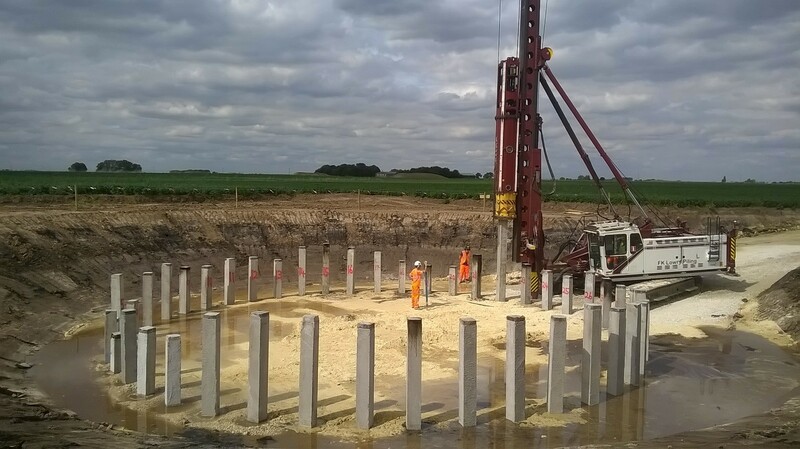 FK Lowry Piling were sub-contracted to Lancashire Based I&H Brown to install 630 No. 270mm Sq. Driven Precast Piles to depths of up to 14m for working loads of up to 932kN. The underlying soils consisted of firm/stiff Clays overlying medium dense to dense Sands before stiff Clays were encountered at depth. FK Lowry Piling’s modern fleet of Junttan Driven Precast Piling Rigs operate throughout the UK installing various Driven Piling solutions.